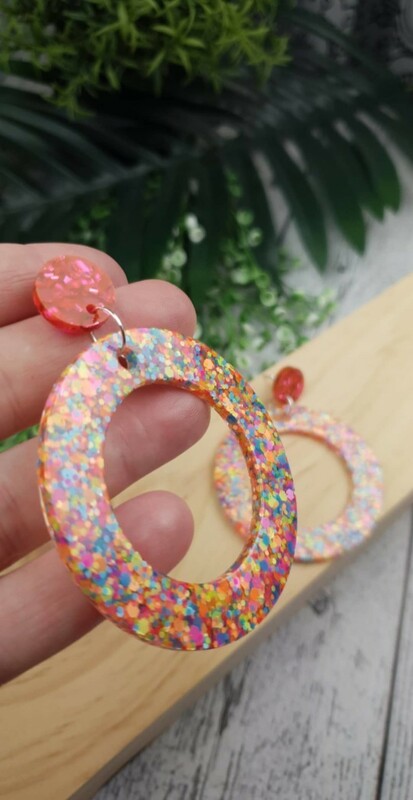 Bright and Sparkling Glitter pop! 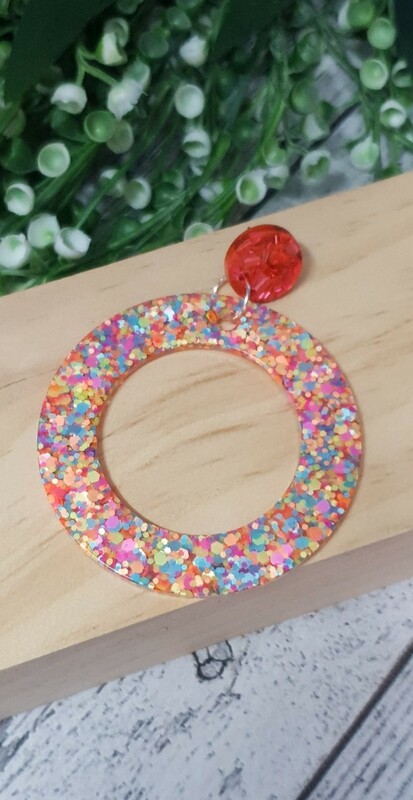 Handmade from start to finish with stunningly bright Buttons and resin. These dangles are our stud style with hypoallergenic steel stud backs. Super lightweight! 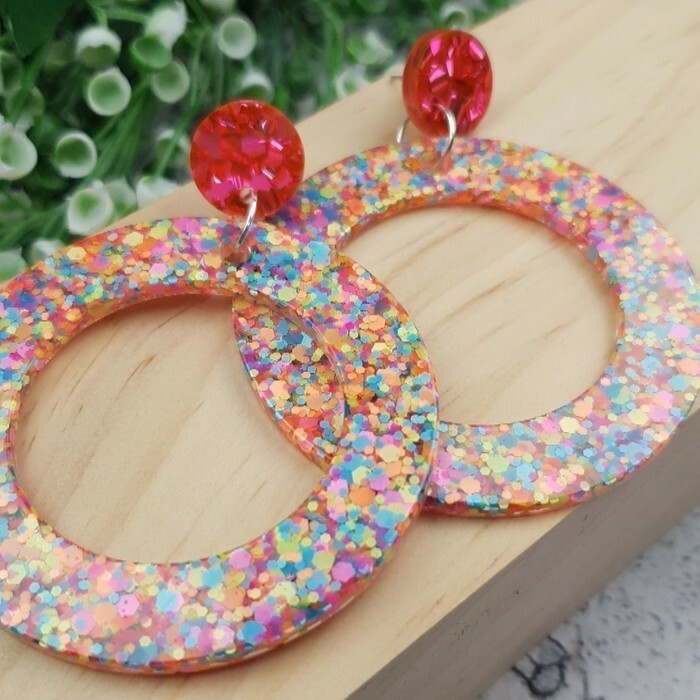 These earrings come with a comfort earring closer/back. © 2019 Addicted to Buttons - Please respect our style, designs, originality and integrity of our work and do not replicate.